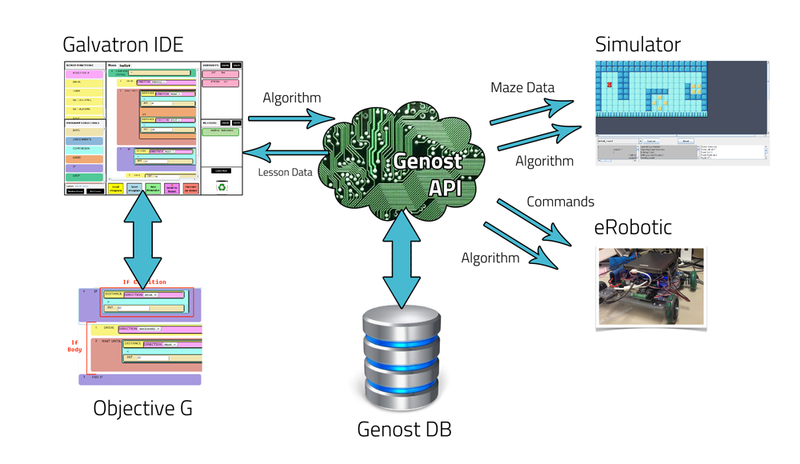 The Genost API is a series of web services used to coordinate the various aspects of the Genost educational system. Genost utilizes service-oriented principles to achieve communication and coordination between its various elements. Web services are used to transfer code between the Galvatron GUI and the Genost Simulator - code is POSTed from the GUI and retrieved upon boot of the simulator. Similarly, web services are also used to transfer code and commands from the GUI to the eRobotic system. Other services are used to load data into the GUI and simulator, and to save programs. Various metrics are also tracked using services. Only through the use of web services could communication between different systems, running in different places, in different languages, be achieved. 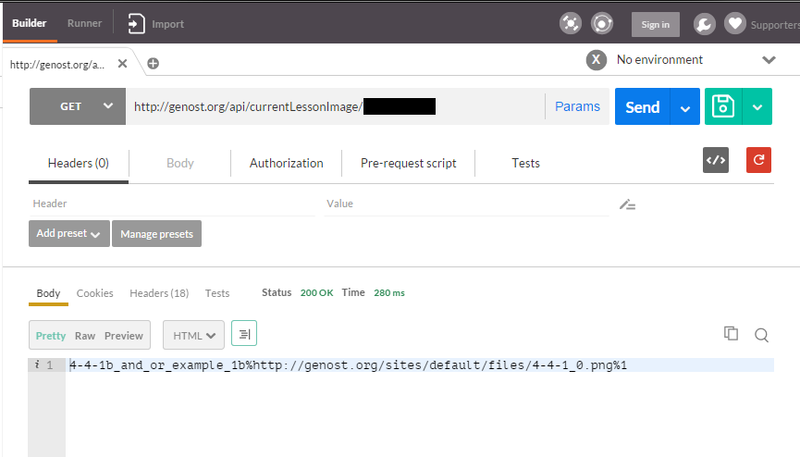 All services used in the Genost API are RESTful, allowing for a decoupled architecture.